Very versatile 4BR 2BA home built in 2014 with over 1600sf heated! This home would make an ideal rental property, excellent employee housing or great for a family needing four bedrooms at an affordable price. There are 2BR 1BA, full kitchen and living up. 2BR 1BA plus a 2nd kitchen with refrigerator, microwave, dishwasher and living area down. All permitted, with interior stairwell connecting both floors. Handy laundry room, easily accessible from both levels. Two zone HVAC. The perfect home to share with a roommate! Large concrete driveway, plenty of room for 4+ cars. Exterior is dutch lap vinyl siding for easy maintenance. 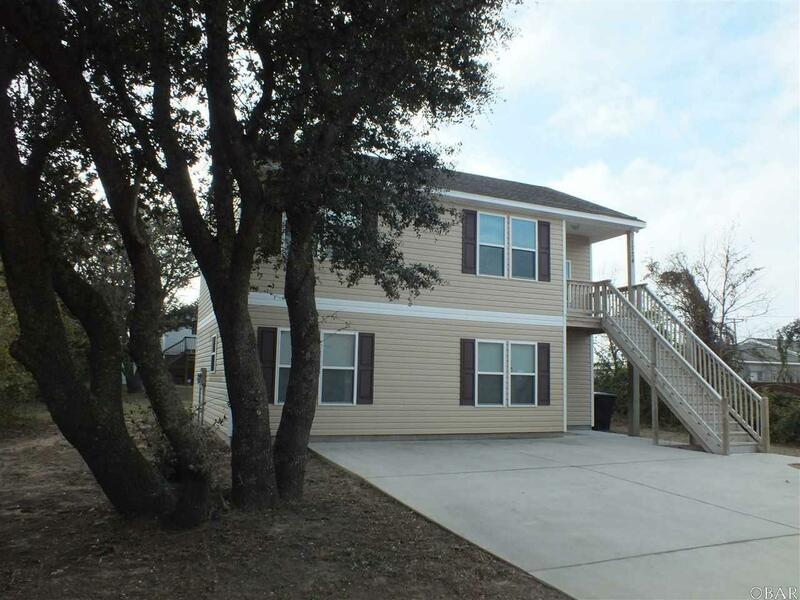 Central location in Kill Devil Hills, this home is within walking distance of stores, grocery, restaurants and an easy stroll to the beach or sound! Don't let this great opportunity slip away!